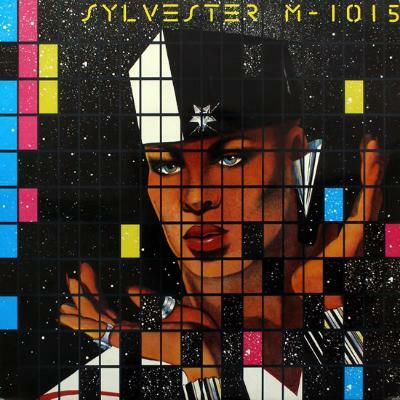 M-1015 isn't the best Sylvester album. You wouldn't have to travel far to find purists who think it's his worst. Still, I love it. It dropped into that post-disco era when David Geffen wooed Donna Summer off Moroder and the big trio of debuts from LLCoolJ, Beastie Boys and Run DMC took hip hop from the margins to the mainstream, restructuring the pop graph. As a guide to how much my head was stuck in Smash Hits at the time, I remember Neil Tennant making the first single from M-1015, 'Rock The Box' his single of the week. 'Take Me To Heaven', with the shady image of the Statue of Liberty on the cover is my favourite. What I love about this album is not just connected to discovering a favourite new pop star at a pivotal age. It's that any track on it could've fitted easily onto Morgan Khan's Streetsounds compilations, really useful arbiters of that moment, the soundtrack of elegant Northern lads in great tracksuits breakdancing on linos on the Arndale Centre forecourt. On top was the very specific amazingness of Sylvester; that thing he does with his voice and delivery, channelling an essence which operates on a platform above man/woman, gay/straight, rich/poor, something super-powered, unique and alone.